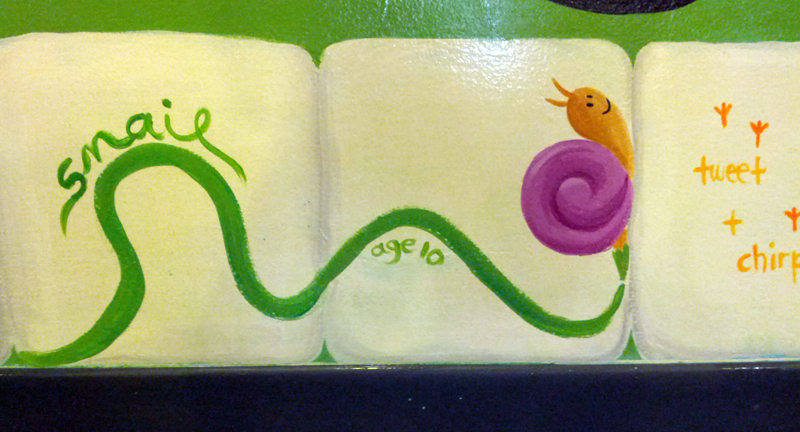 For this project, I worked with Ainslie and Tami at the Children’s Museum. 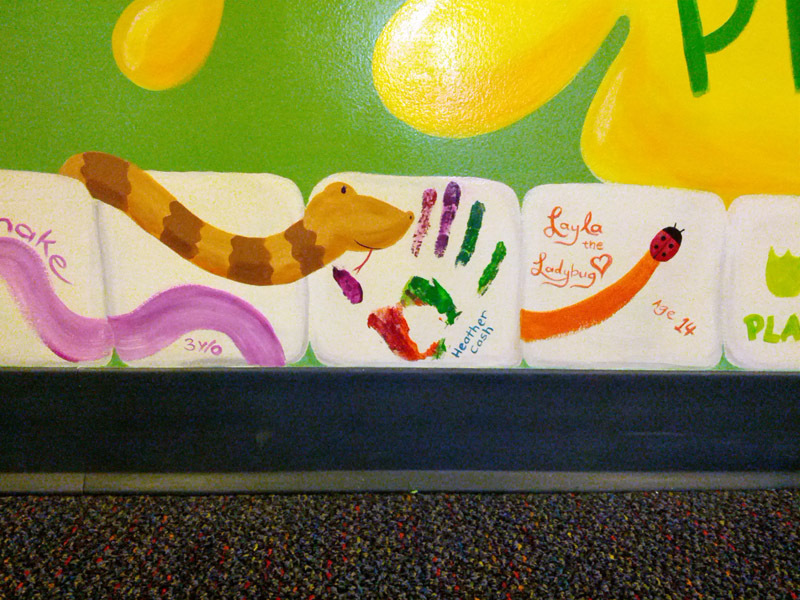 One way that the museum raises funds is by allowing visitors to stamp their handprint on a 6″x6″ ceramic tile. 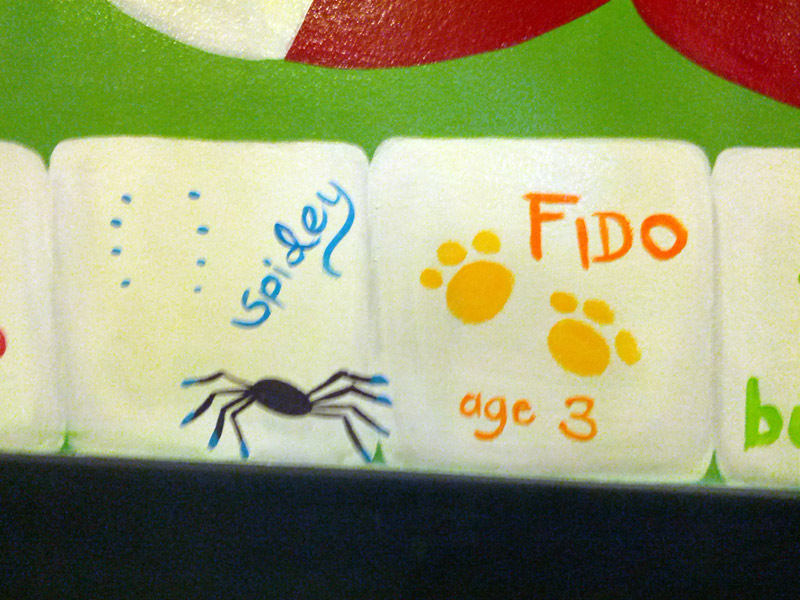 They can paint the tile however they want, and then the tile is fired and displayed at the museum. 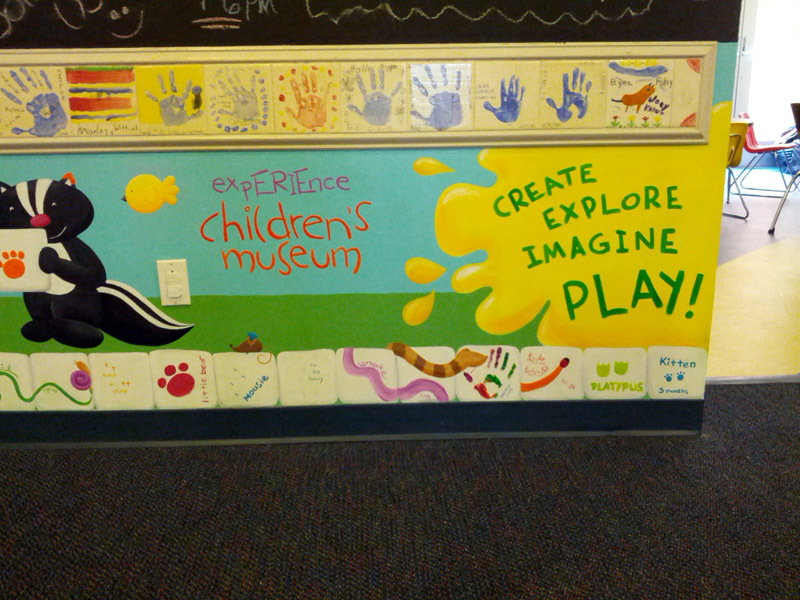 To promote this program, the folks at the museum wanted a small handprint-tile-themed mural underneath their chalk bulletin board. 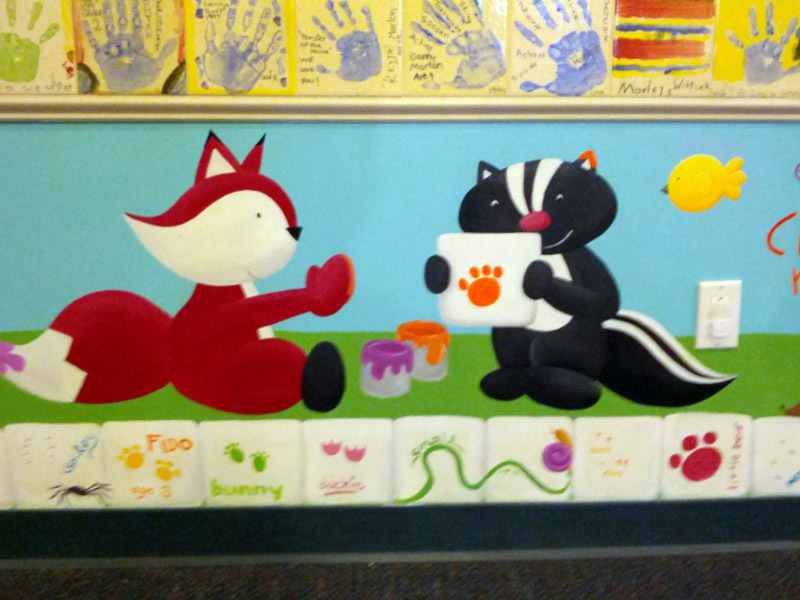 I sketched up the fox and raccoon that I used in other murals around the museum, working on a handprint tile. 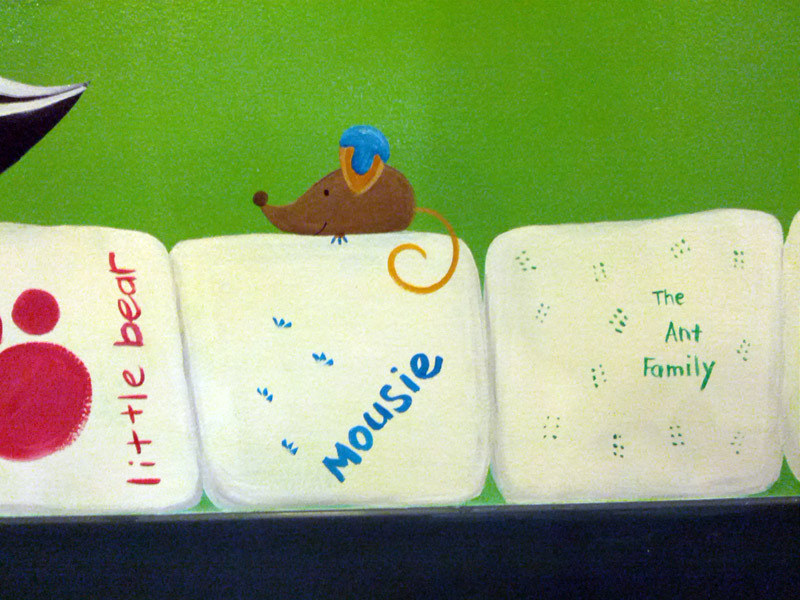 I also included a row of handprint tiles along the bottom with prints from all kinds of animals. 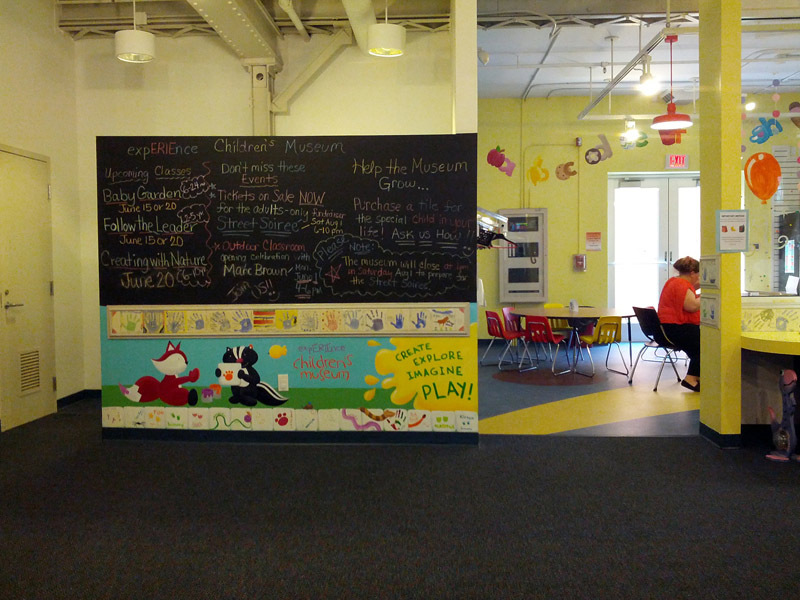 This mural can be seen right when you walk into the museum – just head into the first room and you will see it right underneath the chalkboard.